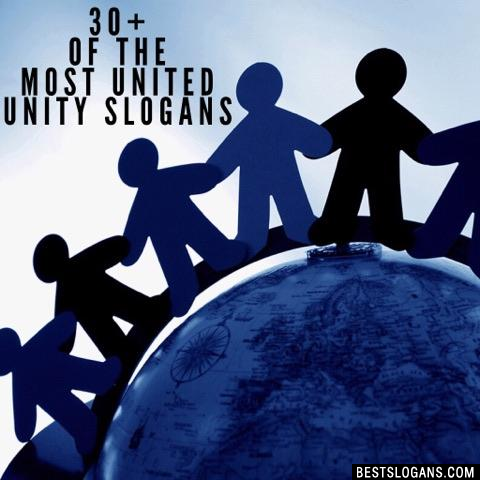 33 new entries added to unity slogans, that include pictures. 1. Unity is itself a power, dont underestimate it! 1 Unity is itself a power, dont underestimate it! 3 Unity is power and gives strength. 4 Unity cannot be based on lies. 5 A smile gifts someone with hope and aids in unity. 6 There is strength in unity. Instead of finding differences we must recognize we are all one and a part of something greater. 7 Unity is not to be sought for at any cost...but only in truth. 9 Only in the darkness can we see the stars, and renew our commitment to strengthening the light of unity. 10 The best medium of unity will always and forever be music. 11 In order to achieve unity we must assimilate and become one Nation Under God. 12 It's time to prevail. I'm speaking on unity! Come together and give to the community. 13 It is good and pleasant to God when His children live together in unity, ridding themselves of envy and hate. 14 We are very divided, let's get back our land first and then we'll see unity. 16 Find a way forward in unity. 18 Unity no matter what. Do not remain silent. 19 Human unity can end all wars, it is time to be concerned about the welfare of all humans. Can you think of a good Unity Slogans we're missing? Or come up with a clever one of your own. Please share below.